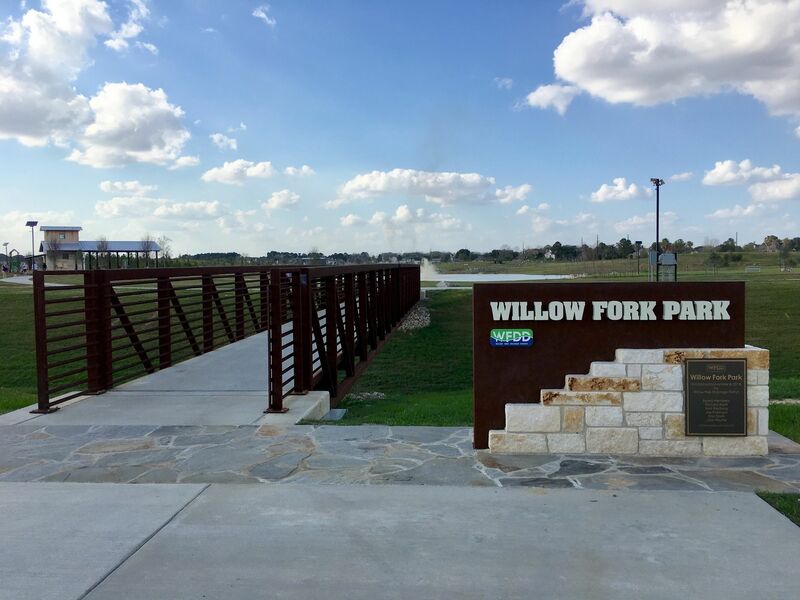 Willow Fork Park Trail Loop is a 0.9 mile loop trail located near Katy, Texas that features a lake. The trail is good for all skill levels and is primarily used for walking and trail running. Dogs are also able to use this trail but must be kept on leash. 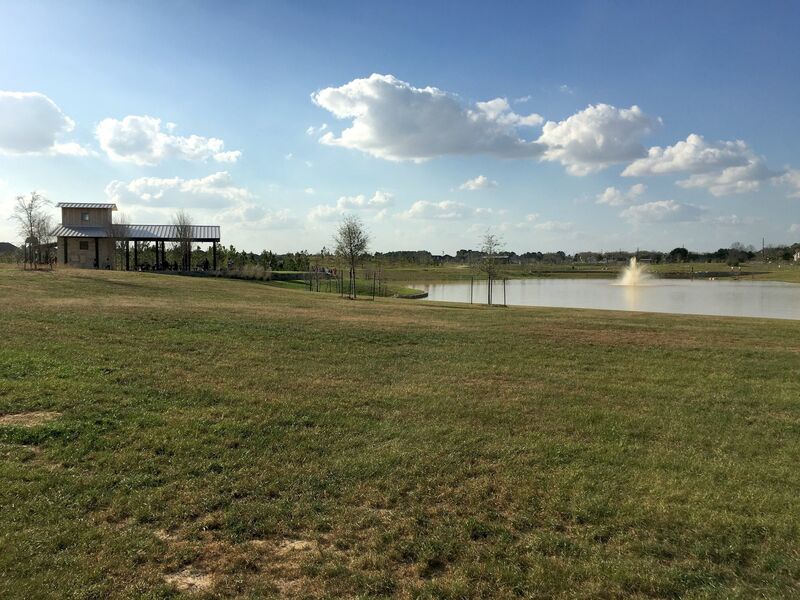 Willow Fork Park opened in Fall 2016 and is located next to Cinco Ranch High School, Katy TX. 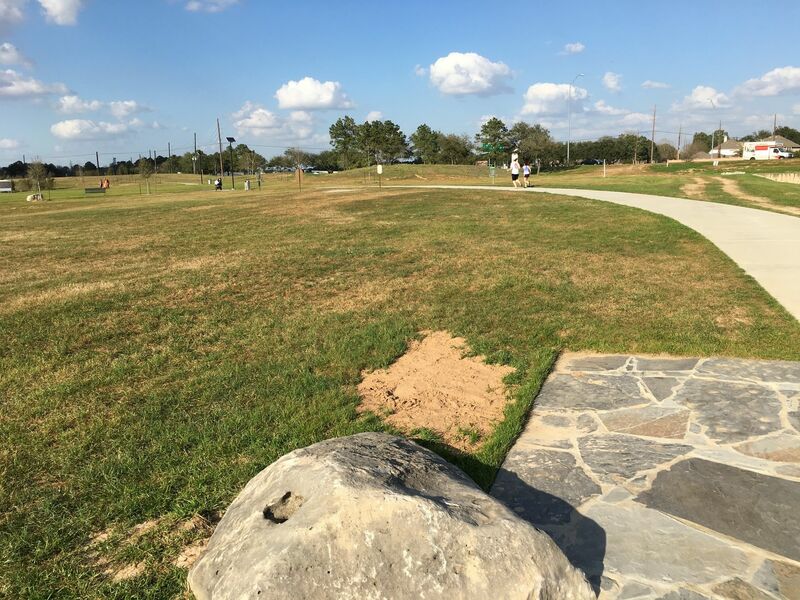 The park features new, wide, concrete walking paths that are accessible to everyone. It also has an 18 hole frisbee golf course, park benches, lakes, and a playground. A covered pavilion and public restrooms are next to the playground. Parking is available just across a walking bridge next to the high school football practice fields. The park also attaches to neighborhood trails. The parking lot is located between the Cinco Ranch High School football practice fields and the Grand Parkway (99). The drive entrance is located on Cinco Ranch Boulevard immediately west of the Grand Parkway. You can also drive into the main high school entrance and take the first right, and turn left where the street ends. This trail was lovely except that it was next to a sewage treatment facility. The wind was blowing in over the sewage treatment and it smelled awful. Really fun for walking and for jogging. Easy to get to and great for nice walk after a nice dinner.